Boho Chic; it’s intriguing, it’s stylish, it’s IN. Who doesn’t want to be dripping with utterly gorgeous and seemingly effortless style? Long draping dresses and tunics, delicate lace camis, leather boots, beaded headbands and feathers GALORE! Bohemian Style is a celebration of self-expression and creative energy and is almost always supported by the true fashion artist. So how does one achieve this incredibly fashionable style? FORGET everything you know about fashion so far and wear what YOU want to wear. That is the single most important “rule” when seeking to achieve the Boho Chic style. If you are uncomfortable in your clothes, you will be uncomfortable with your style! It all comes down to confidence. Wear what makes you feel your best, and as soon as you feel your best you can look your best! 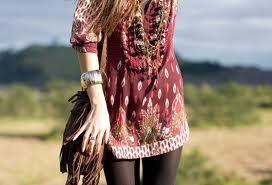 Now that we have the attitude of a true Boho Fahsionista, we can address the technicalities of Bohemian Fashion. Layering is a characteristic element of Boho style, it will help you stay comfortable while maximizing the clothes in your closet. That beautifully bright floral tank top in your closet only gets worn every once in a while because while it’s beautiful, surely people would begin to notice if you wore the same top all the time. Throw that tank under a high-waisted skirt, throw on a belt, and layer another tunic or maybe a blazer over the top. Now you have an entirely different outfit! Sometimes the most attention seeking items in your closet (the ones that may seem un-wearable) are best worn as more subtle complimentary pieces. That way the bright, “eye-catching” elements of your outfit will look as if they were merely an after thought; effortless style. These Layering laws apply to fashion accessories as well! 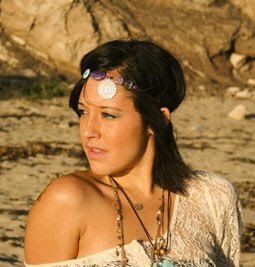 Your favorite necklace has ten times the versatility when worn with long beaded strands and an eye-catching headband. 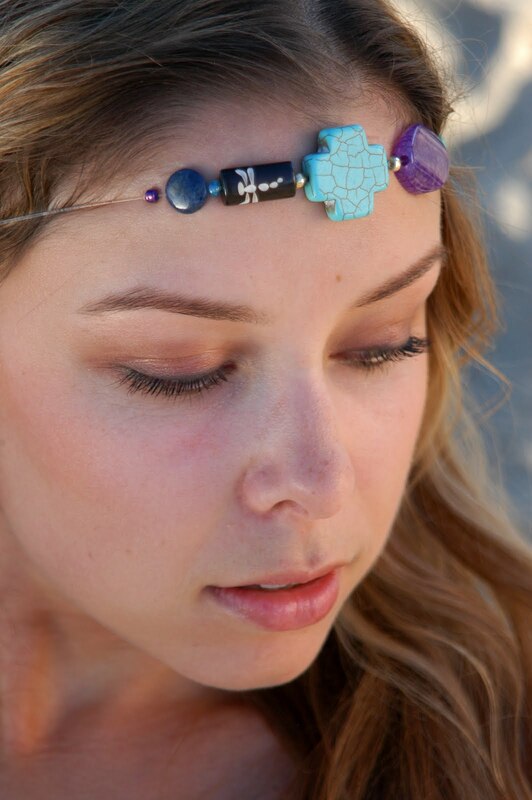 Beaded Jewelry is key in achieving the Boho Chic style; bracelets, necklaces, earrings, headbands…More is More! The more you can layer the better! Bohemian Style is all about discovering your own personal style. Fashion is a daily creative outlet for the artistically minded individual, so wear what you like and make it your own! Bohemian Bombshell is available on Etsy Check out this Treasury featuring one of Bohemian Bombshell’s BBands! I am continually touched and amazed by the wonderful community of artists and friends on etsy, I have received so much love and support from these beautiful souls, and it has empowered me and inspired me to keep creating and stay positive! 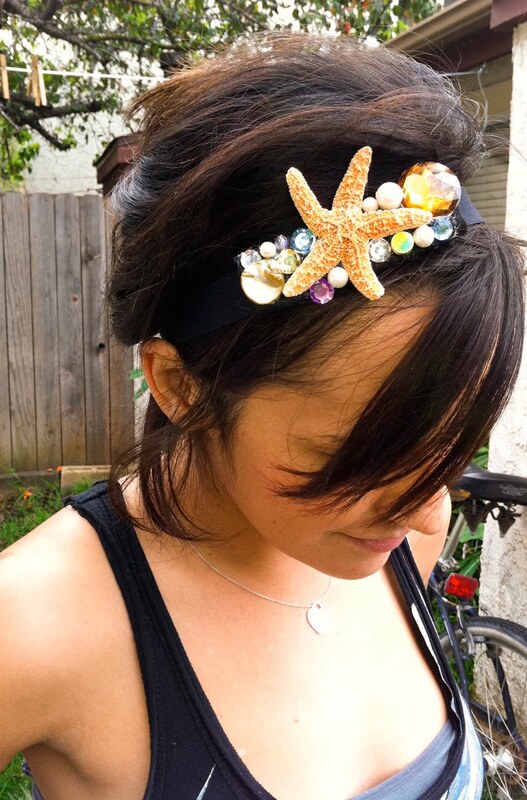 Glitz and glam meets Bohemian Beach Babe, meets sophisticated socialite. These little treats are perfect for that Saturday Beach BBQ, Dress up or Dress down, nothing says BOMBSHELL like a statement Headpiece! 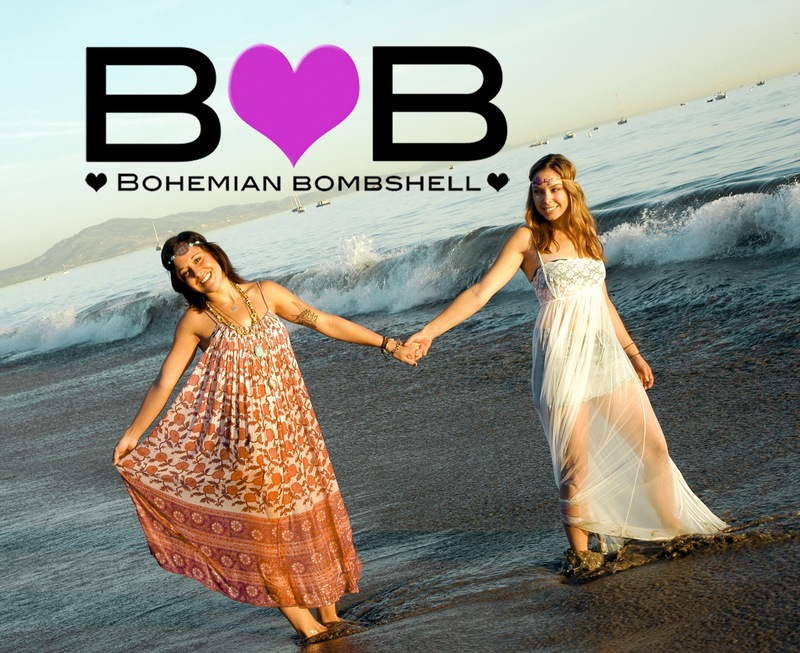 The idea behind Bohemian Bombshell is simple. To live life according to yourself, and yet to accept and interact willingly with the lifestyles of those who have chosen to live according to themselves. To believe that difference is what defines us, that diversity is not an obstacle, but a gift. That we can learn from each other, and accept each other and ourselves, for who and what we really are and not what we’re expected or told to be. To remember that a collective is no more than individuals. To connect with each other on a personal level and share our fears, our hopes, and our dreams. TO BE AN US INSTEAD OF A THEM. To erase “norm” and to create “real”. I want to lift boundaries, ignite passion, encourage discussion, speak the unspoken, and to truly understand the perspective of another. To acknowledge one another, and respond with compassion and understanding. To live in a Co-Operative environment and HELP each other GOD DAMNIT!. To understand that you’re not alone, and that you won’t have to face it alone. Be proud of what you are, and be firm in your beliefs. To make a difference and give back to those who have given to you, and yet to give without expecting a return. Fear is toxic, the only thing to fear is fear itself. To end cruelty, and embrace opportunity. The Past and Future are simply illusions, for you cannot live something that has never existed, nor thrive in something never will exist again. The time is now, for it is the only time that is real. DO IT NOW. We need to harness the power of our minds into positive creation, and not into tearing each other down. Todays Bombshell ordered her BBand all the way from New York! 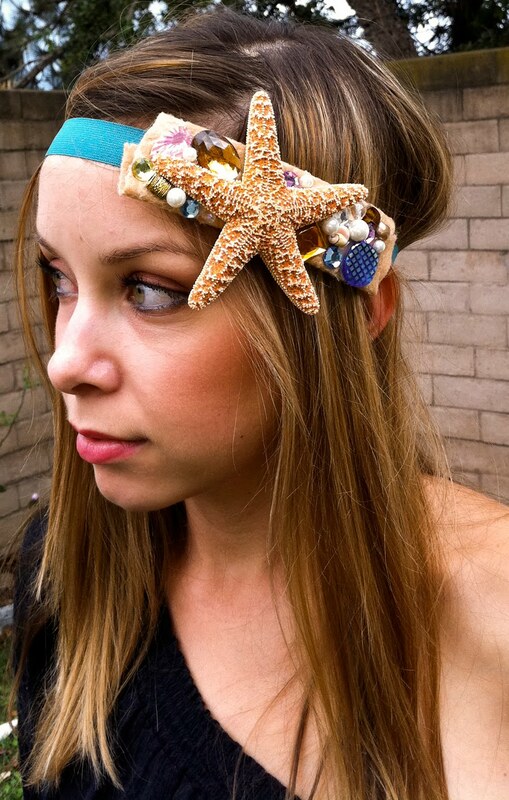 Starr is wearing the starfish B♥ Band, paired with a matching blue top and it looks adorable! 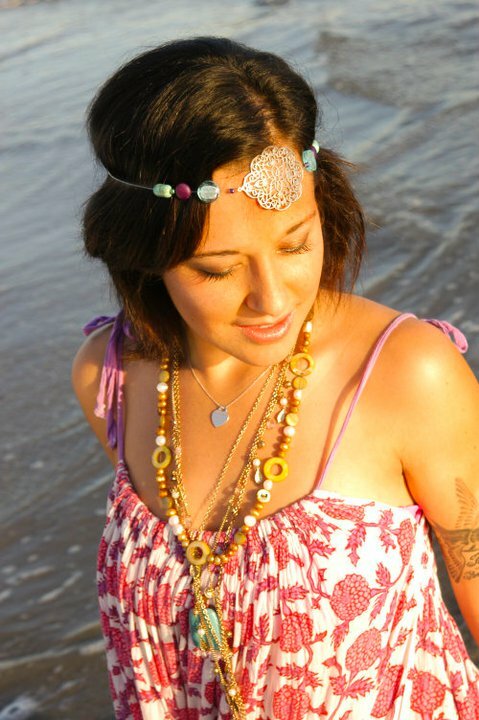 Way to rock that Bohemian style! >New B♥ Bands on Etsy!! 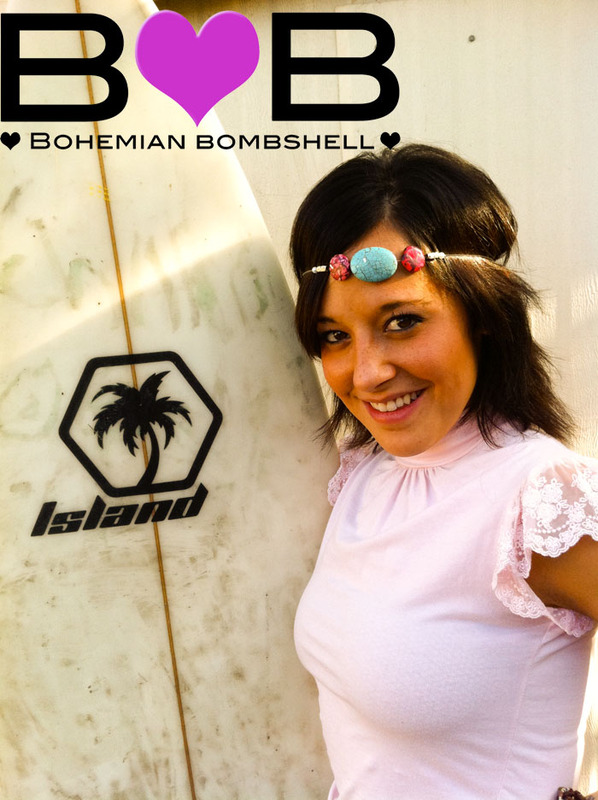 The Bohemian Bombshell shop on Etsy is geting bigger and bigger! There are so many cute B♥ Bands that are perfect for all fall ensembles…check them out…Don’t miss out! Because every B♥Band is 100% original, and will never be made again… I wanted to preserve the beauty and uniquness of each Bombshell and her B♥Band by showcasing a different one every day. 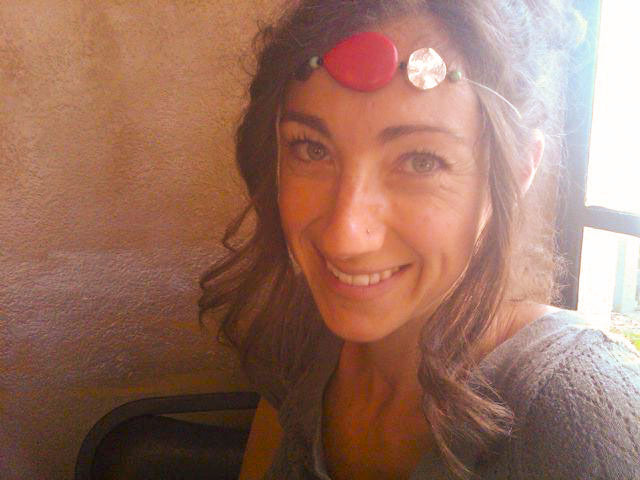 This B♥Band now belongs to Rachel in Patagonia Arizona! The stones on this band are so unique, and fits her style perfecly! >I am so excited to announce that BBands are now exclusively available at Dolce Salon and Spa on the Mesa in Santa Barbara California! I am so excited for the future of Bohemian Bombshell and I’m grateful for all the constant love and support around me! Click here to receive exclusive offers from Bohemian Bombshell, and the latest on all things fabulous, glamorous and boho chic!